It’s that time of the year again and it seems to come earlier every year for some reason. Summer camp has ended. The neighborhood pool is closing. Those last gasp of summer have barely echoed before the warm days start to turn cooler, the leaves begin to change color, and before you know it Halloween will be here. The kids are going to back to school and you need to outfit them with all of the essentials to get them ready for another year. It’s not just the area schools getting ready for the new season, either. All of the major stores are stocking their shelves in preparation for one of the top ten busiest shopping periods of every fiscal year. Nestled in between those Memorial Day and Labor Day sales where everything from mattresses to automobiles are being touted with deep discounts to move inventory off the showroom floor, the back to school sales equal big bucks for major retail chains and Mom and Pop boutiques alike. It’s one of the more popular and lucrative times of the year for the big retailers. In fact, the Back to School shopping season ranks right up there with Black Friday, Amazon’s Prime Day sales, and Small Business Saturday as one of the biggest shopping periods of the year. Some even consider it the big kickoff of that long-running cycle of shopping days leading up through Christmas. The back to school season is the first salvo in the war of the retailers, each one trying to beat the previous year’s sales totals by offering discounts on everything from school supplies to clothing to a few hundred items that may have nothing to do with going back to school. The department stores know you’re going to come walking through their doors anyway, so they figure that they may as well entice you with additional savings on items you’ll probably need while you’re already there. So why not get you to spend your hard-earned dollar on those products as well? These are very well calculated strategies employed by the big chains and the smaller stores to get in on the action, so to speak. The popular items might sell out quick at the larger retailers so the dollar and surplus stores are stocking up as well to take advantage of some of that overflow traffic. All of that means more cash in their tills as well. Everyone wins! Once the month of August nears on the calendar, your child’s school may be issuing their annual school supplies list for the coming year. If your district doesn’t send these out to parents, you can find them pretty much all over the Internet with a simple Google search. If all else fails, the retail stores are going to have hundreds of items on sale for you to choose from and you can pick and choose from the discounts among their inventories. It’s not the most advisable method in my view because they place so many various products on sale at the same time and not all of them are essential for use in or out of the classroom. Of course your child may have some ideas about what they would want – or “need” – for the new school year, too. You can never get started too early, either. Most parents who have older children pretty much know the drill by this point and they’re off to the stores right as the first sales hit, so they can take advantage of the best bargains. There are eight retailers that are going to offer the best prices on the widest array of products that you and the kids are going to rely on most for the upcoming school year. These are major chain retailers, some or all of which may have a location within your immediate area or just a few scant miles beyond. They are the known names that you probably shop every day: CVS, K-Mart, Office Depot, Rite Aid, Staples, Target, Walgreens, and Walmart. Theoretically, you could buy every single thing you’re going to need for the new school year from all eight of these stores. Each one is going to offer you discounts on a sea of school supplies including pens, papers, notebooks, note cards, binders, paper clips, rubber bands, markers; pretty much you name it, they’ve got it. Three of them are department stores where you’ll find more than just the school supplies you’re going to need and two of them are office supply stores where you’ll find stuff you probably didn’t realize you needed but since that 1 TB thumb drive is on sale, why not? CVS and Rite-Aid pharmacies are going to have the most limited selections of the eight major retailers on the list but you should be able to find what you need in a pinch. It’s no big revelation that shopping for the new school year isn’t going to be cheap and the more kids you have to outfit is only going to make that final tally even more expensive. That’s what makes these Back to School sales such an attractive proposition, you can find great deals on just about anything. However, with so many stores offering such a wide variety of discounts it can get very daunting quickly. So to avoid getting swept up in the manic nature of back to school shopping, the first and best thing to do is go over that shopping list. You don’t want to just walk into any of these stores with a hunt and peck attitude. You’ll not only miss out on the most savings but you’ll end up spending more on the things you probably don’t need so urgently. The operative word here is “savings” when you’re shopping during Back to School sales and the way to get all you can is to shop with purpose. Every one of those eight retailers have circulars they release to the general public, listing all of the great bargains that are on sale through their doors. But be careful because these sales may only last a week or two. CVS, for example, lists different items that are on sale from one week to the next. Office Depot is the same. Virtually all of the stores are going to offer varied items from week to week, so if there are certain things you really need, then you’ll want to keep an eagle eye out for those products in all of the circulars. Once you find what you’re looking for at a reasonable price, don’t hesitate. Hop in the car and head on down to stock up your cart with the goods. Whatever you do, make sure you only buy what it is you and your kids are really going to need. You will find some insane deals out there and it might be tempting to take advantage of all of them. However, do you really need 20 sets of dry erase markers? If they’re just going to sit in a closet until three school years from now, then you’re not really saving any money, are you? Before you rush out the door, there are a few other tips you may want to keep in mind. This one is going to rely on you taking stock around the house first. You don’t want to go out and buy stuff that you already have at home and you don’t need. The only problem is that you may not know that you don’t need it because you’ve still got plenty of that thing in the kitchen drawers or bedroom closets. So with that being said, where is one of the best places to find back-to-school savings? Your own home. 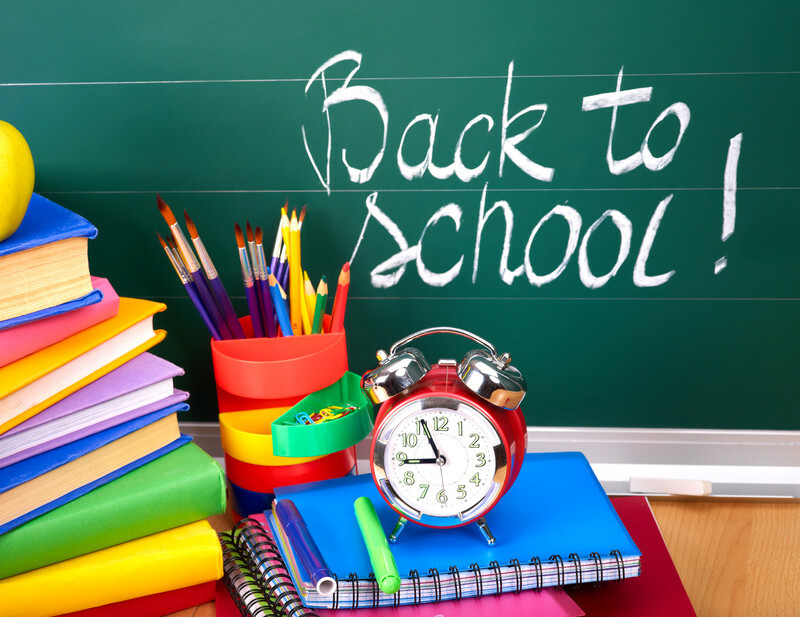 Back to school sales of previous years may have resulted in you buying a few extra numbers of certain items and they may still be sitting there, unopened and ready for school to start up again. 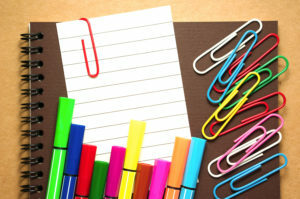 School supplies are also something you may use throughout the whole year, we all need pens and scissors in our daily lives, it’s very possible you still have fresh unopened packages of these items around the house. Don’t buy more, use the ones you have already and you’ll be saving 100% on the price of those items before you even set foot in the store. You know what they say, nothing beats free! If you’re a novice to the whole back to school shopping game, you need to know how the wily veterans do it. They know how to find the additional deeper discounts on the things that your kids will need for the upcoming semester. So, what’s their secret? Rewards Programs. Those two wonderful words are the key to getting major name brand products that you’ll find on just about every school supply list at mere pennies on the dollar. You’re going to find these types of benefits at Staples, Office Depot, even Rite-Aid and CVS. All of them have these offers where you can save more money on popular items that fall well within the necessities for going back to school. Then there are the stores like Target and Office Depot who have a collection of items that you can purchase for a penny a piece, that’s right one whole cent, as long as you make a minimum purchase at the store. That purchase is typically five dollars but let’s be honest here, no one walks into a Target and manages to spend less than that. So, when you head into Target, you’ll find a wide array of penny items available and these are actually items you’re going to want and use. 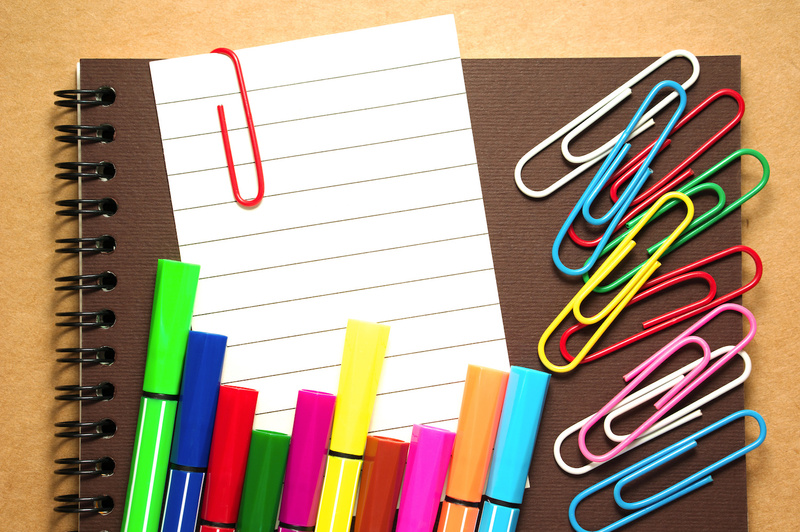 You’ll find folders, pens, those little manual pencil sharpeners, and even more. Target is definitely one of the stores to check out for great deals so you can fill out the rest of your list for literal pennies. K-Mart is also another store that offers these types of deals upon minimum purchase. Nothing new here, we all know that we can use coupons to get a lower price on the goods and products we want to buy. However, most of us probably associate them with going to the supermarket and saving 35 cents on a jar of pickles or buy one box of mac and cheese and get another one free. The good news is you can start saving that kind of cash on school supplies as well. Staples and Office Depot usually offer some great deals on office supplies with coupons in their advertisements. You can sometimes find similar coupons from Target as well, mainly on their private label brand “Up and Up” products. 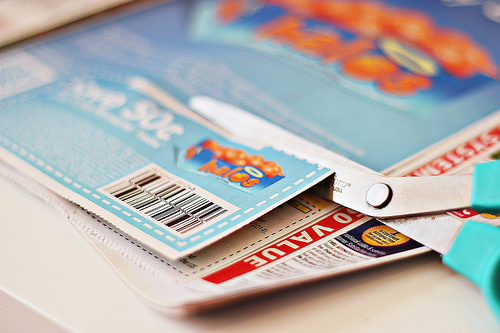 If you’re ready to really save, then you’re going to want to go hunting for coupons. It’s a secret that those who practice “extreme couponing” already know all too well. You can ask any of them where to find the best back-to-school savings, they’ll tell you to look online and go no further than your own mailbox. It’s very possible your mailbox is inundated with those sales pages that come with your daily mail delivery and it’s even more likely you’ve tossed them aside thinking they’re nothing more than standard junk mailings. Well, the next time you grab your mail take a look at those sales circulars a bit more closely because you may just come across some lucrative savings opportunities. Do you get the newspaper delivered? Then you may have also come across those full color glossy inserts nestled in between the sections. Again, you probably didn’t give a second thought to those as you opened the main section of the Sunday Times. Next time don’t be so quick to disregard those inserts. They come from the leading coupon services to provide consumers with manufacturer’s coupons on hundreds of items. Now that back to school season has arrived, you can bet there will be some good savings on many of the crucial items on your shopping list. Grab a scissors and start clipping. In many cases, these are coupons that you will be able to apply on top of savings that the stores are offering on those same items. Combining savings on top of savings is going to keep more cash in your pocket during this busy buying season! Once you’re done plundering your mailbox for discounts, jump online and start scouring the Internet. You can find just about anything on the Internet, so you’ll have no problem tracking down valuable coupons from a whole range of viable sources. The most popular and well known is Coupons.com (probably because it’s the easiest to remember or stumble across as you’re typing the word “coupon” into your search engine) and there you’ll find the widest collection of products with applicable coupons every week. This site is large and offers plenty of discounts all year round, but for those deep, deep back to school savings you’re going to want to do a thorough search of this website. After that, head over to RetailMeNot.com where they provide valid, up to date coupon codes that are good for use at over 50,000 retailers worldwide. Of course it also makes perfect sense to visit the websites of any of the eight major chain stores we’ve been discussing as you may find some online-only coupon offers there as well. Click and download, hook up your printer, be sure you have plenty of paper (you may need to put an extra ream or two on your shopping list once you start finding all of these great coupons) and start printing them out. When you go out and hit up some of these stores, Staples and Office Depot in particular on this point, you can use coupons from competing retailers to get big discounts. Each one has no problem matching the other’s offer as long as it means you’re spending your money in their store and not the competition’s. The big winner in that deal is you because you may just be able to combine a Staples coupon with a sale price offered at Office Depot. There’s always the mobile apps, too. The Target Cartwheel app is one of your best bets for finding great deals. You just set up an account, choose your savings, and show the barcode at check out to get your discounts. It couldn’t be any easier. While we are on the subject of mobile apps, you should also search out some of the great rebate apps that are also available for iPhone and Android devices. These apps are free to use and they can help put more money back into your pocket after you’ve left the checkout line. You just scan your receipt or snap a pic on your phone and the app gives you cash back on your qualifying purchases. Remember not to wait too long to scan your receipt as offers expire sometimes without notice or you may forget what you were expecting a rebate on from your receipt. There’s always the possibility of losing your receipt, too. So do this sooner than later. The best rebate apps out there are Ebates, Ibotta, Checkout51, and SavingStar, but they are just some of the many you can find on the Google Play or iTunes stores. This one is going to do you a lot of good. Walmart has a price match program that lets you bring in the price of an item from another retailer and the store will match it. So instead of trying to get the lowest, best prices on everything by driving from one store to the next, simply bring in the ads from all of those stores and present them to the good folks at Walmart. They will match the price on the spot and you can do all your shopping in one place while finding the best deals on crayons, markers, pens, you name it. As long as it’s cheaper elsewhere Walmart will hook you up with the same deal. You can find some pretty good deals at many other retailers beyond the major chain brands. Some of the best prices can be found at surplus and dollar stores. Many of them carry brand name versions of the items you are looking for on your list and you’ll also find generic versions of products that you don’t really need name brands to enjoy, like folders and binders and paper. Unless you’re printing out resumes or business plans you don’t really need Hammermill 20 pound weight paper. So feel free to stock up at the dollar and surplus stores to get the same great quality products you’d expect to find at Walmart and Target. It just won’t cost as much. Back to School shopping doesn’t have to be a drain on your wallet – if you know how to do it right. Seek out the weekly circulars to find low prices on your entire list and put good strategies to use when tracking down your coupons. Finding as many as you can before you make the trek out to the store will make a big difference when you’re crossing off everything from your school supply list. Just remember only to buy what you really need and don’t be easily seduced by bulk pricing unless you have enough children who are going to use all of those items. There just isn’t much sense in spending ten dollars on a 50 pack of pens when you really just need 5 of them for a buck. Also don’t forget to check your cabinets and drawers before you hit the stores, either, because it’s not saving when you’re buying the same thing over and over without ever using it. Be sure to look around the house first, then start to find your coupons, download those rebate apps, and check those weekly advertisements. Before you know it, you’ll be sending your little ones away on that school bus and you can rest easy knowing they’ll have everything they could possibly need for the year.